The 912 iS Sport looks similar to the 912 iS but has a 27-mm higher airbox that is aluminum instead of plastic. A different software and new calibration support the upgraded engine, which will also be available as a retrofit for 912 iS owners. Rotax expects to achieve ASTM compliance and issue a service bulletin in mid-May to offer the upgrade to customers, although the engine has already been shipped to several manufacturers for display aircraft. A Kitfox with the engine is on display in front of the Rotax tent at Sun ‘n Fun. Mundigler said Rotax will offer the engine for the same price as the 2013 912 iS through the end of October; pricing is available through distributors. For owners of the 912 iS, Rotax will provide the airbox kit for free for an upgrade until the end of October, so owners will only pay labor costs. After October, the manufacturer suggested retail price for the airbox kit is about 1, 300 euros. In addition to the performance benefits of the 912 iS Sport, Rotax said the engine will have lower maintenance costs than its carbureted predecessor because there is no need to service or synchronize carburetors and the engine has a computer-based electronic diagnostic system. Flight Design panels all feature Synthetic vision, XM weather and Terrain information! The new CTLS Club begins the line up with a standard 7″ SkyView panel on the left side, a centrally located Garmin Area 510 touchscreen GPS and dependable UMA analog engine instrument panel on the right. The standard panel for the CTLS and CTLSi feature dual 7″ Skyview screens, single ADAHRS (Air Data computer) UMA back up flight instrument and a Garmin Aera 510 GPS. Upgraded panels include the dual 10” SkyView with redundant ADAHRS, Dynon Mode S transponder, TIS traffic and the new Garmin 796 for a triple redundant GPS system. Advanced panels with the Garmin G3X and new Area GNS 550 and GNS 750 are also featured on the new CTLSi. All of these exciting new panels give LSA pilots large glass panel displays with capabilities only found in the big jets just a few years ago. Other new features aimed at ease of maintenance make the CTLS a joy to own and and a great airplane to fly for pilots of all skill levels. The fuselage design of the CTLS minimizes drag and maximizes interior width for you, your passenger and gives sufficient room for your baggage. The composite landing gear is designed to better absorb hard landings. A standard BRS parachute system provides an advanced safety feature on every U.S. CT airplane. The Rotax 912 ULS engine now has a 2000 TBO making the efficiency and cost benefit even better than before. In production since 1997 with over 1700 flying worldwide and 325+ in the US, the CT’s operational flexibility make it popular for basic and advanced flight training. For cross country trips, pilots can fill the standard 34 gallon tanks for an 850NM range at full cruise power providing safe, fast, long distance travel. 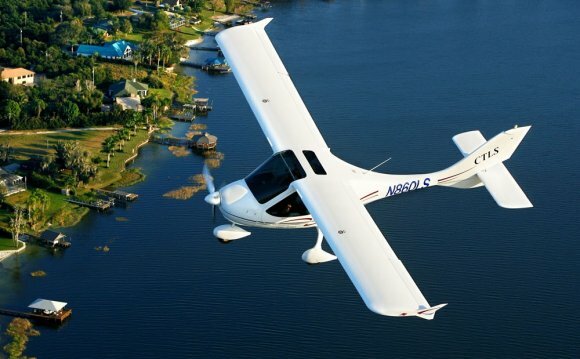 The CTLS is certified in the United States as a Special Light Sport Aircraft (SLSA) to allow for flight training, lease back and rental uses. 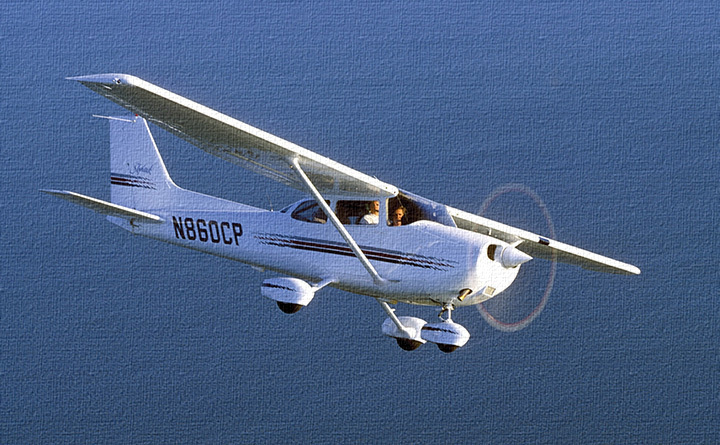 The low fuel burn and volume insurance rates make profitable flight school use possible. The large cabin of the CTLS has a width of 49 inches and can easily accommodate people well over 6 feet tall. The 2-way adjustable seats with lumbar support and extra-wide gull wing cabin doors give easy entrance and a comfortable experience for you and your passenger. The ergonomic arrangement of the dual controls and instruments are optimized for viewing and handling. The engine cowl and large front window provides excellent visibility out the front of the airplane. The large side and top windows provide a great view of your surroundings and add to situational awareness making learning to fly more relaxing and fun. less carbon fiber wing has high-lift slotted flaps for amazing short field capabilities. Due to the strength to weight ratio of carbon fiber, the CTLS fully equipped has a useful load of over 550 lbs. SafetyThe synergistic combination of all these features make the CTLS perform better than other LSAs for many important performance aspects. 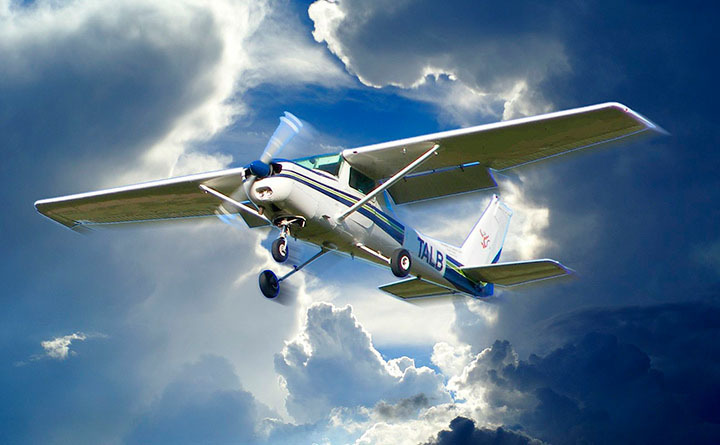 The CTLS has been certified for two international airworthiness standards and was developed by Flight Design’s professional engineering staff with safety utmost in their minds. The structure of the CTLS is over 90% carbon fiber and aramid which provides superior pilot and passenger protection. Four-point safety harnesses, wing located fuel tanks and the standard BRS 1350 parachute system are just a few of the integrated and well thought out safety features of this state-of-the-art aircraft.